Whether it’s a whole building, or just one room, the decision to replace or refurbish is often a close one. Across Britain, choices are being made on whether to replace or refurbish large swathes of the education estate, from nurseries to schools to universities. A wide range of projects can fall under the “refurb” umbrella – from a cosmetic spruce up to a strip out and re-plan of a building’s whole interior. At the smaller end of the scale, as interior finishes and fittings reach the end of their lifetime, it’s time to decide: strip it out and buy new, or refurbish what you have. Public buildings are places where a wide variety of people have invested their memories and emotions, and so finances can be a large, but not the only, part of the decision. A consideration of the life cycle costs of refurbishment versus replacement is of course vital – with the emphasis on the long-term element. Too often, short term costs and benefits are prioritised, when the investment being made will potentially last twenty to thirty years. 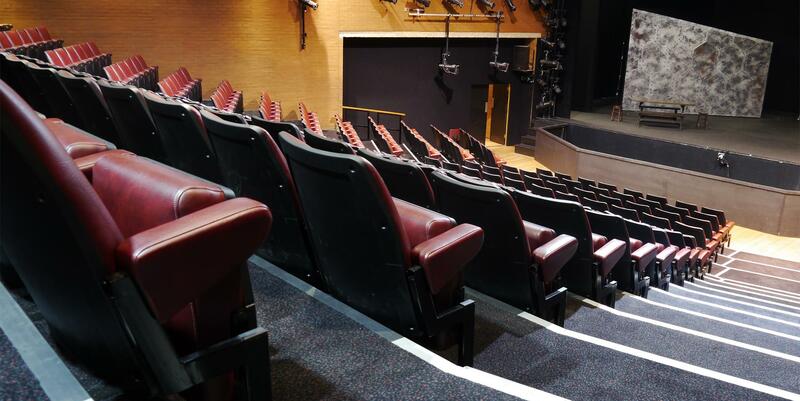 During a refurbishment, venue operators can also make a few canny changes to increase revenue, including extra rows or additional removable seating, or upgrading some seating areas to command higher ticket prices. Operation costs can also be reduced with functional upgrades such as power operation, vastly reducing labour costs every time the room is re-configured. The decision to refurbish rather than replace can also be driven by a wish to retain the traditional look of a space. Eton College’s decision to refurbish rather than replace their theatre seats was driven by their love of their existing seats – however worn. With the seats’ original manufacturer now out of business, Audience Systems even produced special new tooling to recreate some of the chair parts. On the logistical side, a refurbishment project can sometimes be shoe-horned into smaller gaps in a building’s schedule than a complete replacement. This is becoming more and more of a consideration with schools and universities increasingly exploiting their estates for community use, and to generate revenue from meetings, courses and conferences. If your seating is reaching the end of its life, please get in touch with our Care and Repair team, Carla Sullivan and Rob Marshall. We can provide information, advice and pricing for both refurbishment and replacement options, and help you find the best investment for your facility. Alternatively, find out more about our refurbishment services here.